The First Taiwan International Piano Festival: Music Fest Perugia in Taipei NTNU will take place at the Music Department of the National Taiwan Normal University from 12-19 February, 2017. There will be 180 lessons taught from world renowned artists, 4 lecturers, 6 concerts, and one star concert pianist competition during the vibrant and compact week of the festival. 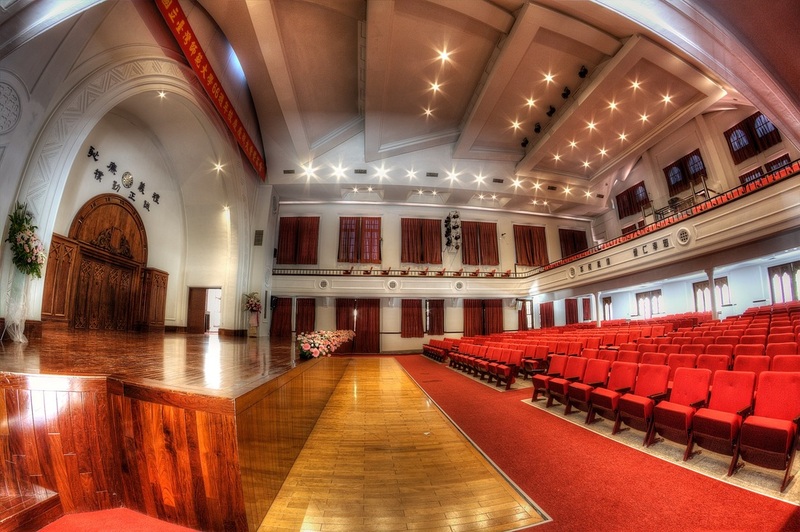 All the activities will not only take place at the beautiful campus of the NTNU but also at the National Recital Hall Taipei where the "all star faculty concert" will take place. 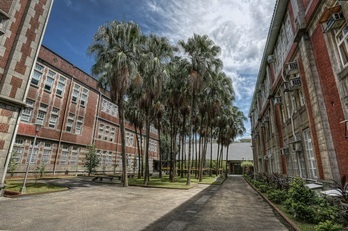 The National Taiwan Normal University is located at the City Centre of Taipei, next to the colourful Shi-Da night market, and the elegant urbane Yong-Kang district. 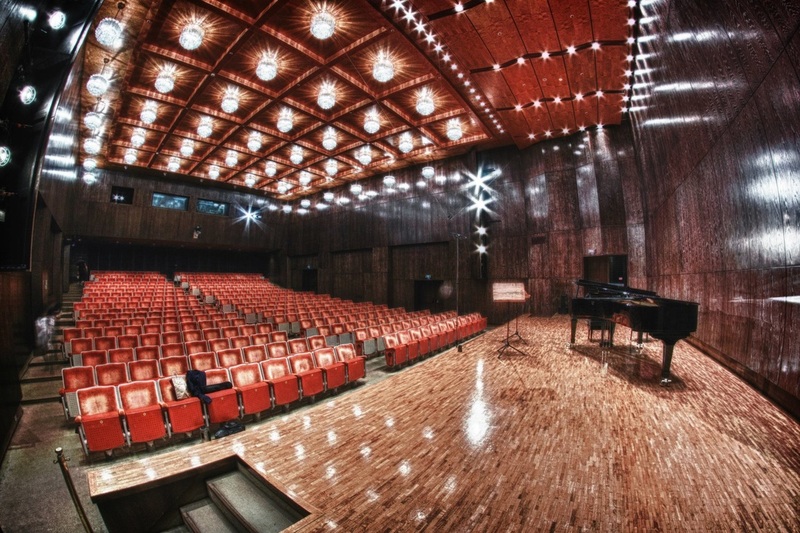 You can also walk within 20 minutes from the NTNU to the National Performing Arts Centre: National Concert/Recital Hall. 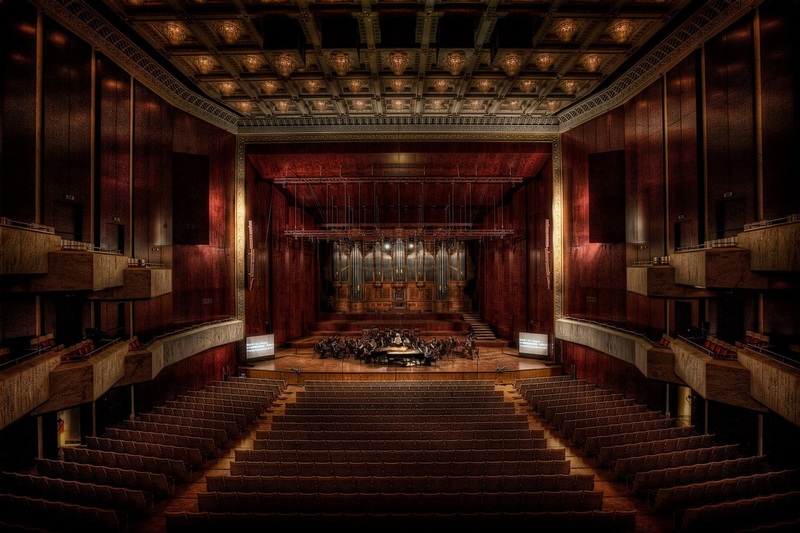 It's the best location for young artists to thrive and appreciate concerts, opera and performing arts. There will also be more then 20 grand piano practice rooms reserved for the 30 active participants during the entire festival. The festival is opened worldwide for all the musicians to apply now online, no age limit. Our preliminary judges will select 30 active participants and unlimited semi-active participants to take part in the festival. No matter if you are general publics, music lovers, or musicians, you are all more then welcome to join us as passive auditors, as volunteers, or as sponsors. Let the art and music be a part of you, enrich your life and give warmth to your soul. 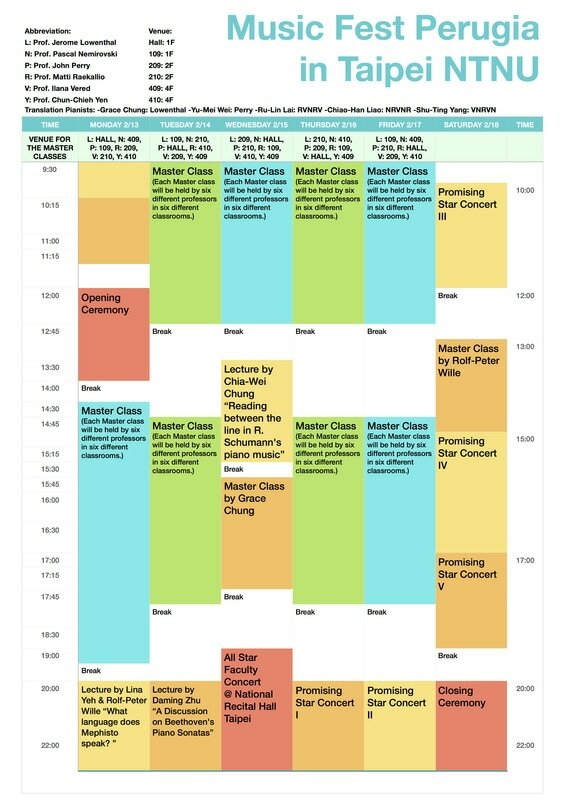 In the compact 6 days of the festival, there will not only be 180 lessons with 6 world renowned artists teaching 30 active participants, we've also invited the most famous professors from Taiwan including Rolf-Peter Wille, Daming Zhu, Chia-Wei Chung and Grace Chung to give us 4 lecturers and master classes. 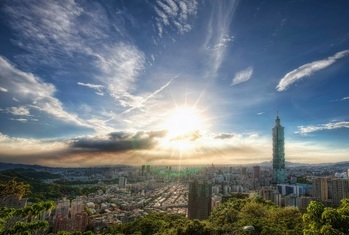 Besides that, the most prominent taiwanese pianists, Ru-Lin Lai, Chiao-Han Liao, Yu-Mei Wei, Grace Chung and Shu-Ting Yang will also be assisting the festival participants in translation to create wonderful learning experiences for all the participants.